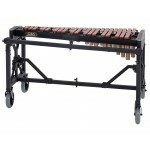 The Musser Marching Xylophone is tuned to A442 and the Kelon bars range from C5-C7. 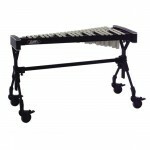 The M67 includes.. 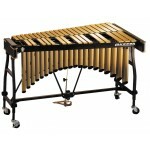 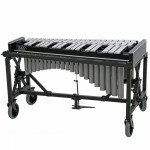 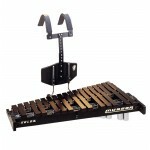 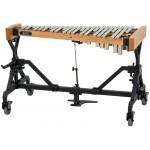 The Pro-Portable xylophone features Musser exclusive Kelon bars which resist changes in temperature .. 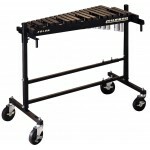 Among touring professionals, this is the vibraphone -- and has been for years. 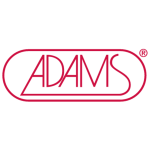 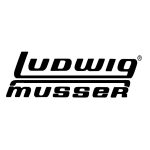 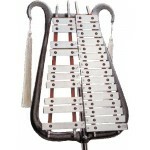 Wide, hand tuned bars..
2-octave lightweight bell lyre (or Glockenspiel), 1-1/4" wide by 3/8" thick aluminum bars. 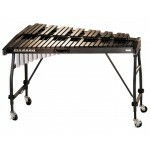 Includes ..